With natural ingredients. 50% plastic from sugarcane. Cruelty-Free International. 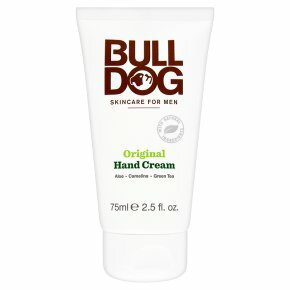 Vegetarian Society approved.Man's Best Friend This hand cream contains aloe vera, camelina oil and green tea. Specially formulated to leave the hands feeling nourished, smooth and moisturised. Directions: Apply to clean hands as required.